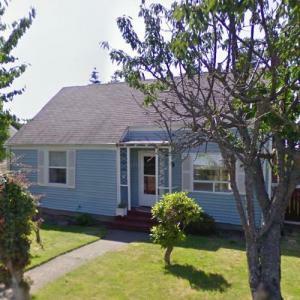 According to several sources, this house in Tacoma, Washington is where serial killer Ted Bundy lived as a child. Bundy was responsible for tbe killing of 30-36 woman in several states from 1974-1978. Ted was executed on January 24, 1989 in Florida. He was 42. Please keep in mind that this is a private residence. Please do not trespass on the property, knock on the door or disturb the residence.